The surroundings of Imtiyaz Aslam’s weaving centre in Narayan Bagh in Kashmir’s Ganderbal district evoke awe. The deep green of the forest, the undulating terrain, the brook lined by walnut trees, with men in pherans sipping tea by paddy fields, make this the Kashmir of popular imagination. The happy women at the centre infuse cheer that’s not easy to find among people of the valley now. Some are training as Kani shawl weavers, others are employed there. They hum along to Hindi film songs playing on a speaker and laugh as they pose for photographs. What’s made the difference is a multi-pronged effort by private traders passionate about Kashmir crafts, non-governmental organizations, the Commitment to Kashmir Trust (CtoK), set up in 2011 to develop Kashmir crafts for modern markets, and the CDI, established in 2004 by the Union and state governments. 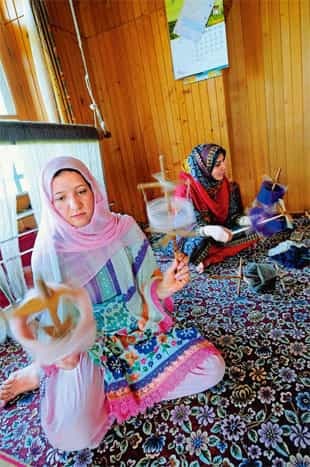 Traditionally, Kashmiri women have not been associated with Kani-weaving. As textile anthropologist Monisha Ahmed says: “Usually, where a craft has a certain status and economic value, women play an ancillary role; they assist men. If the final product is sold, the money comes to the man as he was the ‘weaver’." Each weaver must be above 16 years, with a primary knowledge of arithmetic (Kani-weaving follows an arithmetical graph). They must learn the fundamentals for a year and are then guided by a master craftsman for a few years. They can weave any time of the day as long as they put in 8-10 hours. An artisan is paid ₹ 35,000-40,000 for each shawl, in two instalments, an advance and a final payment. These girls cannot afford a self-woven Kani shawl, but Aslam makes sure they are photographed with one when a piece is complete. The Kani shawl, which got GI (Geographical Indication) status in 2008, is one of the most complex Indian weaves. As a symbol of Kashmiri craftsmanship, it is housed in the world’s finest museums, such as the Victoria and Albert Museum in London, the Musée des Arts Décoratifs in Paris and the department of Islamic art at the Metropolitan Museum of Art, New York. The Musée du Louvre in Paris has portraits of 19th century French empress Joséphine draped in a Kani. 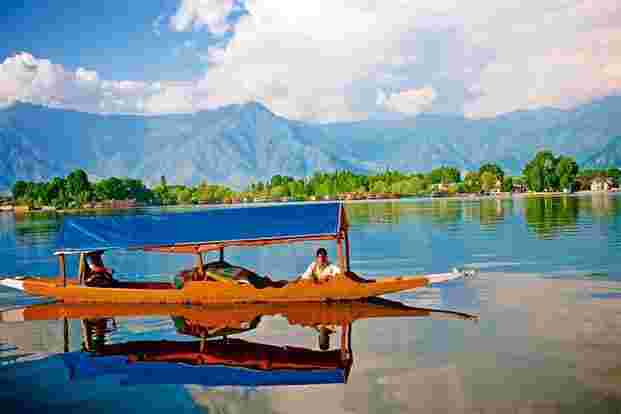 While historians like Janet Rizvi think the craft developed in Kashmir, there are references to outside influences during the time of Shah-e-Hamdan, a Sufi poet and prominent Muslim scholar from Persia who came to Kashmir in the 14th century. 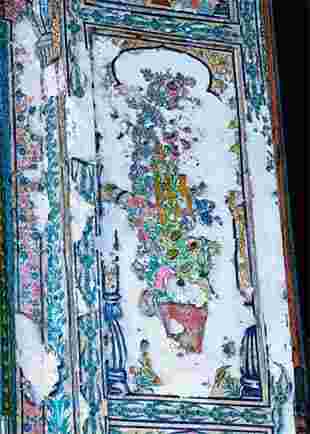 Among his followers were shawl weavers, carpet-makers, potters and calligraphers. 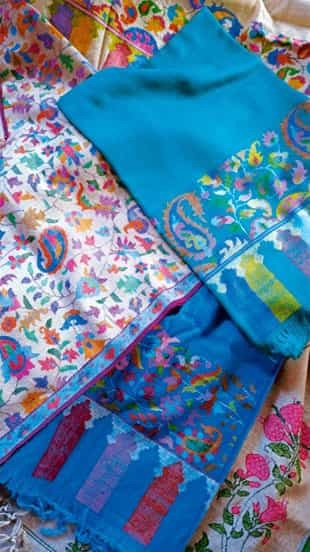 The story of the Kani shawl helps track the lives and lifestyles of weavers, and the ups and downs of the shawl industry. Take 36-year-old Haleema Mir, who comes from a family of agriculturists. She has been carding and spinning pashmina yarn since she was 17. Work was good till five years ago, when such “enemies" as carding machines began robbing them of their livelihood. Haleema, twice divorced and mother of a nine-year-old son, lives in Idgah, a Srinagar neighbourhood once known for its flourishing weaving industry. The family has not had a single order for hand-spun yarn since the floods wreaked havoc last September.